A 12-hour charity aqua fitness class which aimed to raise awareness of Alzheimer’s Research UK has generated nearly £5,000 for the charity. 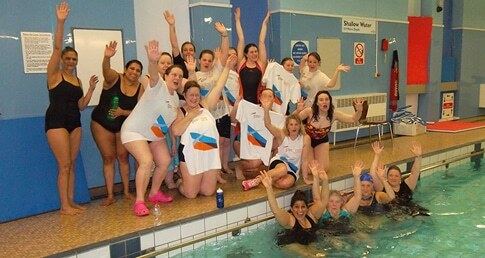 The fitness session, which ran from 7pm on the 28 March until 7am the next day, was held at Lewsey Park Swimming Pool in Luton and featured a selection of activities including deep water workouts, circuit training, one-to-one workouts and leg work – as well as a talk from Alzheimer’s Research UK. Fitness instructor Lesley Harris, who organised and ran the event, decided to raise money for Alzheimer’s Research UK after her mother Primrose Ramsbottom passed away from the disease on 23 December 2014. Lesley’s class aimed to raise awareness of Alzheimer’s in her mother’s memory and spread the message that sport and physical activity can have a positive effect on those living with the illness. Remarking on her fundraising success, Lesley said: “So far we have made £4,820 for Alzheimer’s Research UK in memory of my mum and I am still receiving donations each time I go in to take one of my classes. It’s so nice to see how many people have helped to support this cause.